Below is a partial list of the venues in Massachusetts, Maine, New Hampshire, Rhode Island, and Connecticut, in which The Woodvale String Quartet has performed. The highlighted names contain links. To view the list of churches please take the link on the left. 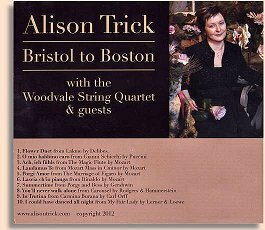 *Preview the newly released CD with soprano Alison Trick.